In Illinois, smart thermostats are hot. There are a lot of options to choose from, and there are great incentives from your local utilities due to the Future Energy Jobs Act that was passed in late 2016. Smart thermostats save energy, and therefore, qualify for both rebates from the gas companies and the electric utility. Your electric utility is ComEd if you are in the Chicagoland region, with just a few exceptions (Winnetka, St. Charles, and a few others). If you are looking for a smart thermostat for your home, you are eligible for a $100 instant discount through ComEd's Marketplace. Our choice for home is the Nest 3rd Generation. The 3rd Generation Nest is the easiest to install for a home owner, and super easy to hook up to your app and computer. This is key, as the easier to use means the best chance of getting the most savings out of the unit. Nest has a great data platform behind it, so it will let you know when you can try to save more energy with a little leaf on the platform. It also tracks your usage and sends you updates via email on how much energy you are using, and how you could do better. The Nest also connects with a bunch of other products, like your Google Home or Google Home Mini, the Nest Protect system (which also acts as an additional temperature and occupancy sensor), Nest Hello and Nest Cam systems. The smart home is coming, whether you like it or not, and certainly Nest has an edge up on the product offerings that connect well with the Nest. Hands down, the best commercial smart thermostat on the market in 2018 is the Ecobee EMS Si. There are two simple reasons for this - access to stellar rebates from the utilities, as well as functionality. The EMS Si has all of the same benefits of the residential smart thermostats, although not quite as easy to install. 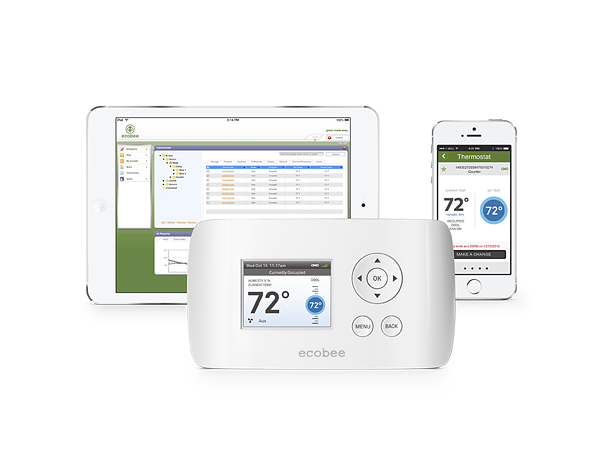 It connects well to smartphones and has learning and occupancy benefits, but it also can control the multi-phase heating and cooling that advanced HVAC systems tend to have in commercial applications. In addition, the EMS Si has a power extender that can come optional, which can solve the common C wire issue. The C wire provides electricity to the thermostat, helping to charge the battery. If the C wire is lacking or not providing enough energy, the power extender can help resolve this (where other smart thermostats lack a solution without running a C wire). For small to mid-sized businesses, you qualify for a $300 incentive to install the EMS Si smart thermostat. You need to have it professionally installed, but that is recommended regardless for commercial application. For larger businesses, you do not qualify for this incentive, but the energy savings should be greater and justify a larger investment. North Shore Gas and Peoples Gas offer an additional $100 incentive, and this typically covers most businesses that are in Chicago. This can be combined with the $300 for the ComEd Rebate program, and we can install these systems for $75 each thermostat after the combined incentives (including labor, material, and recycling). 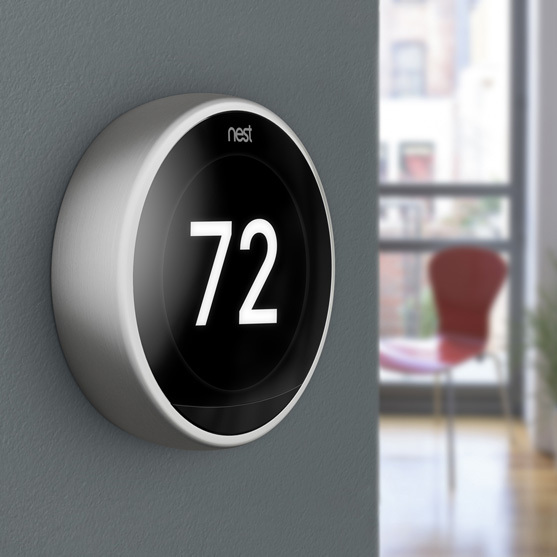 Nicor Gas does not currently have any incentives for smart thermostats to combine with the ComEd rebate, but keep on the lookout as that is always changing. They do offer a variety of other incentives for commercial properties. If you are a residential homeowner and are on the hunt for a smart thermostat, you can pick one up now at the ComEd Marketplace and pay a reduced price without any hassle. Give the install a shot on your own, and if you need help - give us a call for a $99 installation. If you are a commercial customer, fill out our assessment form and we can come see if you qualify for a $75 EMS Si installed. There is no cost for the assessment, as long as your business is in the Chicagoland area. Next Why Is a ComEd Thermostat Rebate Available in Illinois?